The Ridgeline Midwidth Rear Bumper (Tire Carrier Ready) is the perfect complement to our front bumper systems. 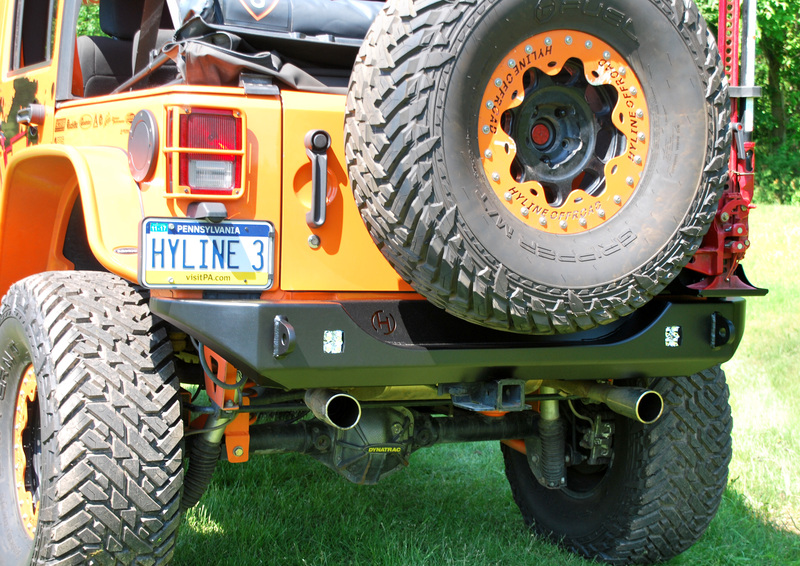 With our modular design you can purchase the bumper and then easily add a swingout tire carrier at a later date. This bumper wraps just around the tub corners, giving you some body protection. The Ridgeline Rear Bumper meticulously matches all the curves of the JK bodylines. It doesn’t just look great… it’s functional, easy to install and will stand up to years of abuse. It’s fabricated using USA Grade 3/16” Steel Plate that is laser cut, CNC formed, welded, and hand finished by craftsmen. The D-Ring mounts are 5/8” Thick Plate and are welded front and back so they can be used confidently as recovery points. 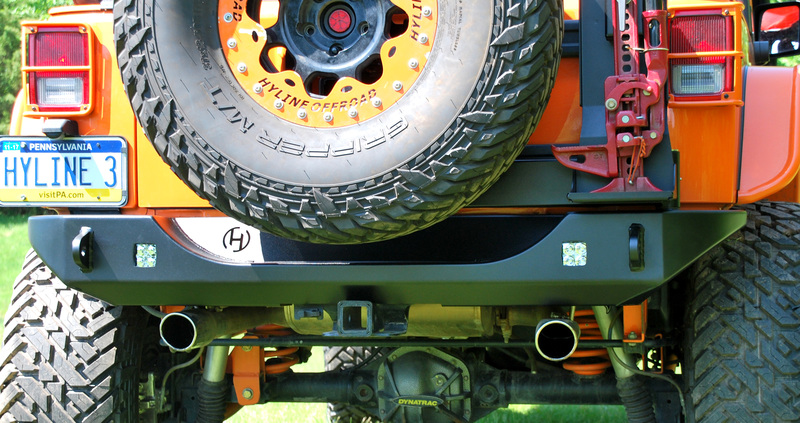 Our bumper allows for the use of a factory or aftermarket Hitch Receiver, which could also be used as a center recovery point. 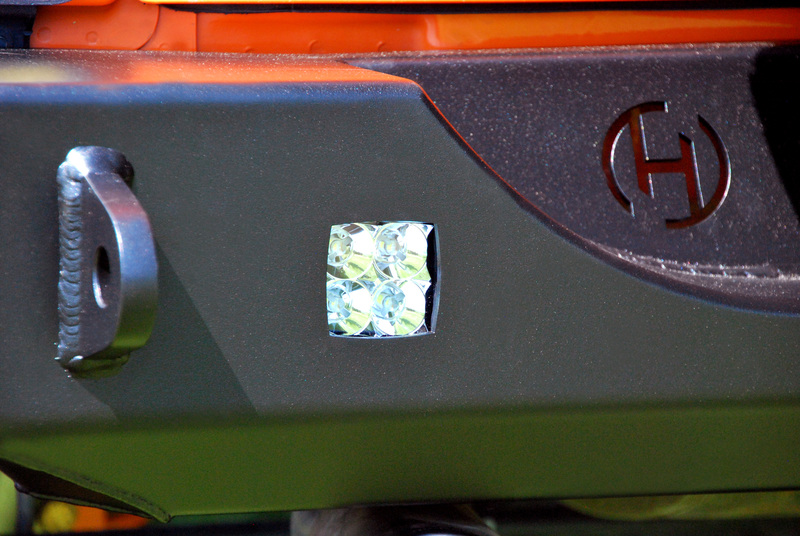 The Ridgeline Rear Bumper also incorporates cutouts and mounting brackets to add rear 3” LED cube lights. All bumpers receive a thorough zinc phosphate rinse and cleaning, then are E-Coated and Powder Coated with light black texture. The textured powder coat matches the texture on the stock black fender flares almost perfectly. Completely Bolt on, No Cutting and/or Drilling Necessary.